The Model X that can be customized is the “Signature Series,” the first vehicles that will roll off the assembly line. The price is eye-watering — $132,000 before tax credits, incentives, and projected gas savings — but these cars are the top-of-the-line versions: they have a 90 kWh battery pack and a suite of special features, ranging from Autopilot self-driving technologies to third-row seats that can accommodate two people. And of course buyers get the bragging rights to say that they’re the first to slip behind the wheel of a Model X. For an additional $10,000, buyers can add “Ludicrous Mode” to their Signature Model S, enabling the SUV to achieve a 0-60 mph time of 3.2 seconds, according to Tesla. Owners can also add a “Subzero Weather Package” (heated steering wheel, seat heaters, heated washer fluid, wiper defrosters) for $1,000 and a tow package for $750 that will equip a Model X to haul 5,000 lbs. 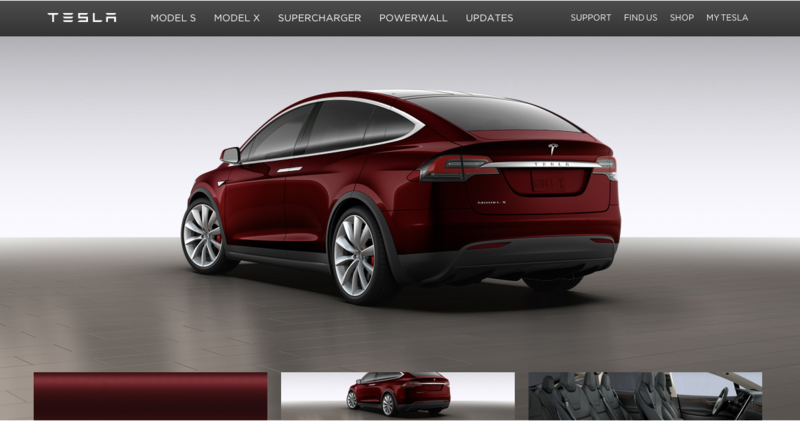 The appearance of the online configurator is a excellent sign that Tesla is prepared to begin at least limited Model X deliveries by the end of September. 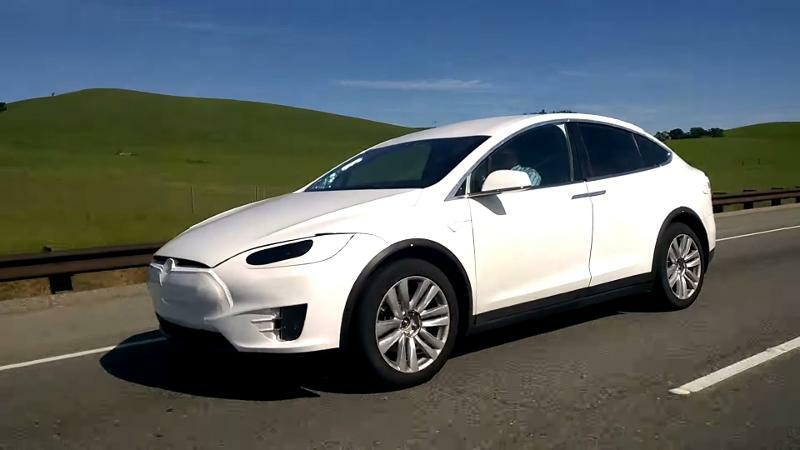 Up to this point, all we’ve seen of the Model X are test vehicles on the road in California. Tesla CEO Elon Musk set off a round of worrying about whether the Model X debut would be pushed back when he reported during the company’s second-quarter earnings call that there were some problems with the vehicle’s “sculptural” back seats. Tesla’s ability to build and deliver vehicles has been a major source of concern for investors. Last year, the company wasn’t able to meet its sales goal, although it was able to meet is production objectives. And this year, Tesla now expects to delivery fewer than the 55,000 vehicles it initially projected. So all eyes have been on the Model X and its third-quarter delivery schedule, even though Tesla doesn’t expect to sell a a lot of the cars in 2015. 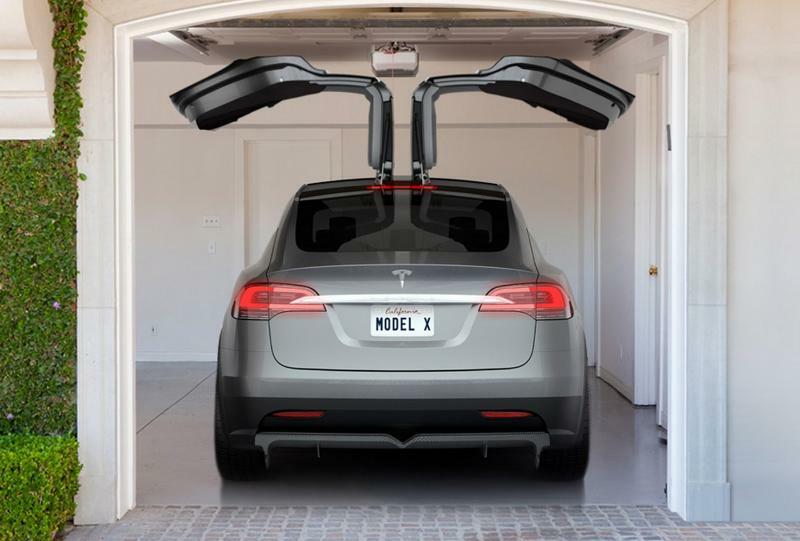 Interestingly, the Model X’s upswinging “falcon wing doors,” formerly a source of concern for Tesla observers, will evidently be equipped with standard sensors to prevent them from banging into garage ceilings. The steep price of the Signature Series Model X — which puts the car in the same territory as the most luxurious SUVs from Mercedes and Range Rover — could lead to speculation that less snazzy trim levels will be priced higher than SUVs from Audi, Porsche, and BMW. But it’s important to note that Signature Series Model X’s will appeal to Tesla buyers who really want to pull out all the stops. Musk himself has said that the Model X is an important transitional vehicle for the company, setting it up to build its mass-market Model 3. 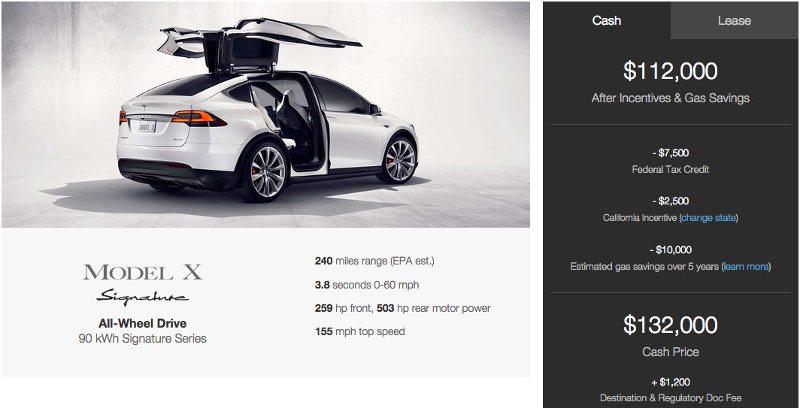 So we probably shouldn’t expect the entire Model X range to be shockingly more expensive than expected.